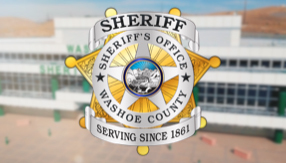 The Court Transportation Unit provides daily transportation of inmates from the facility to the Washoe County District Courts and the Reno and Sparks Justice and Municipal Courts. The unit is also called upon to transport inmates to area hospitals and other outside providers when an appropriate level of medical care cannot be provided by the Detention Facility's medical staff. The Sheriff's Office is required by Nevada State law to be present at every session of District Court. The deputies are responsible to ensure the safety and security of the courtroom, juries, and court staff and to maintain the decorum of the court. Specialty court which oversees Drug Court, Diversion Court, Veterans Court, Mental Health Court, DUI Court, Prison Re-Entry, and Medically Assisted Treatment (MAT) Court. Hearings conducted by seven court masters. The Sheriff also provides security for the District Court, the Mills Lane Justice Complex and Sparks Justice Court using Court Security Officers. Using state of the art scanning equipment, the Court Security Officers ensure potentially dangerous items are not brought into any of these buildings.